The relationship of Wine and Health is famous topic of discussion for a long period of time. A substantial amount of research has been done about the effect of alcohol on human body. 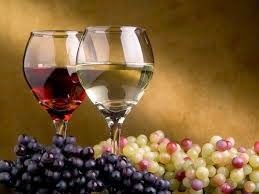 Although there are controversy about it but wine is considered having medicine value in it from ancient time. Either it is good or bad for health the Wine producing industry is a billion dollar industry across the globe. There a number of steps to make wine and it vary from one vendor to another. However some of us may be curious to know that if there is any preservative added in the wine? If so then is it good for health of not? Or what should be the limit of preservative? Firstly alcohol itself is a natural preservative. But still in the process of Wine making, preservatives are added in the form of sulphur. This is done because of the prevention of oxidisation. So what are the forms of sulphur which is added as preservative in wine? There are three main types actually. First one is sulphur dioxide also known as preservative 220.Second one is preservative 224 or potassium metabisulphite. The third component is ascorbic acid. Although it is an antioxidant as well. So how can we measure preservative in a particular wine product? It is usually measured by parts per million or milligrams per kilogram. According to the Australian food standard the maximum 250ppm is allowed in dry wine. For sweet wine however this number is 300ppm.People sometimes get confused with the term “preservative free wine”. If no external sulphur is added in the wine making process then it’s called NAP or no added preservative. However In the process of fermentation sulphur could still be present in wine naturally. So it’s difficult to say there is no preservative in a particular wine. The taste of wine varies widely across the world. For pinot noir grapes grown into cool weather like Oregon, USA is known to have high concentration of reverastrol comparing with the grapes grown in hot regions of Australia.